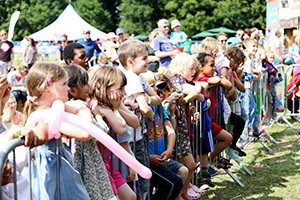 Come and see Bounce Festival 2014 at Old Deer Park, Richmond! The summer holidays are almost here! And if you’re looking for things to do then definitely check out Bounce Festival! 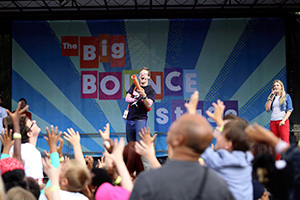 Back again at Old Deer Park in Richmond on 16th to 17th August, Bounce Festival is an action-packed weekend of summer holiday activities, entertainment and family fun! Hosted by Anna Williamson and Greg Foot, there’s loads of fun things to do. You can take part in exciting experiments in the Daredevil Science zone, get arty in the Create & Craft area, test your skills with some fencing workshops and loads more! Try the Army Assault Course, check out the What’s Cooking zone and if that gets your tummy rumbling, there’s loads of great food to enjoy too! PLUS! This year we’ll be there too! We’ll have our very own Fun Kids Zone and – to make things even better – we’ll be joined by the team from Mister Maker Magazine! Throughout each day come in to learn how to make cool things just like in the show, and you’ll even get to keep what you make – how cool! Mister Maker Magazine is the brand new magazine starring your favourite characters from the TV show and packed full of instant makes, art projects and loads more ideas. 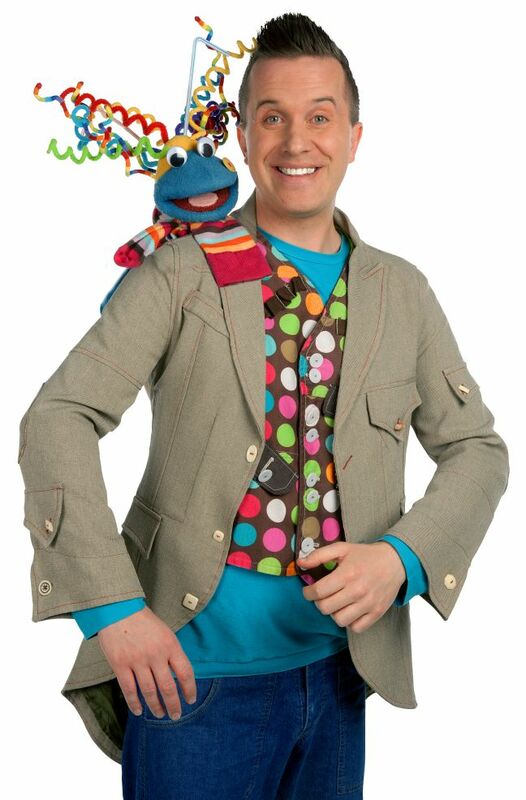 Click here to find out more and have some Mister Maker fun right now! There’s also lots of activities for younger tots too in the Little Bouncers Corner and even an area for parents to relax too! And until the 18th July, Early Bird tickets are up for grabs!